I was recently looking at Jobs and wanted to exclude all really small companies. However, there is currently no way of filtering the search results by this size. I was basically looking to filter out all companies that fall into the 11-50 people category. I have a feeling that other users would at times want the opposite, and would want to filter out all large companies. 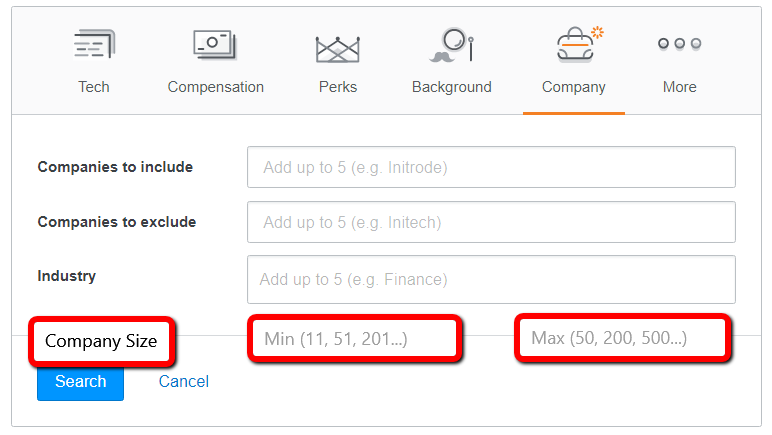 Can a company size filter be added, something like the below screenshot? Browse other questions tagged feature-request jobs filtering .